1.The Colour Guard were presented with a Canada 150 yr pin. ​2.Branch 255 presented a check for $1000 to Riverside Secondary School to go towards the students trip to France for Vimy Ridge. Congratulations to veteran Roland Demers for getting his 50 year medal. ​He has been a member of the Riverside RCL Branch 255 for​ 56 years. Veteran Br 255 member Roly Demers received a Quilt of Valour today. ​Picture taken by Taylor Thompson. Good bye old carpet and chairs. ​Mike St Louis from Summit Wall and floor covers limited ,located at 5909 wyandotte street is , is installing the new carpets. Windsor eats Friday night lights faired the rainy weather and came out to party with us. What a bunch of great people. Royal Canadian Legion Branch 255 on Saturday September 2nd nine of Windsor's local veterans were presented with a beautiful handmade quilt from Quilts of Valour Canada. Thanks to all the veterans for your service and thanks to the quilters for creating such beautiful blankets. in Remembrance of Pte. Robert D. Copland, Essex Scottish Regiment. Veterans Voices of Canada-Flags of Remembrance Windsor closing ceremony. Left to right: Cathy Brown, Ken Marshall, and Debra Thompson all received a Service Medal for their dedication and hard work to our Branch . Branch 255 also swore in four new members. The Riverside RCL BR 255 is very proud to be able to make a donation of $6000 to the Family Services Windsor-Essex for the purchase of 2 neurofeedback machines. 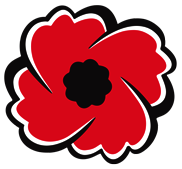 Zone A-1 Public Speaking contest today, at the Ambassador Legion Branch 143 in Windsor, ON. Graduate journalist at St. Clair College, Windsor, Ont.